Custom Personalized Cufflinks - Custom couple Initials and wedding date in Navy Blue or custom color of your choice. Perfect wedding cuff links for groom, best man, groomsmen gift. They looked great on my husband on our wedding day! 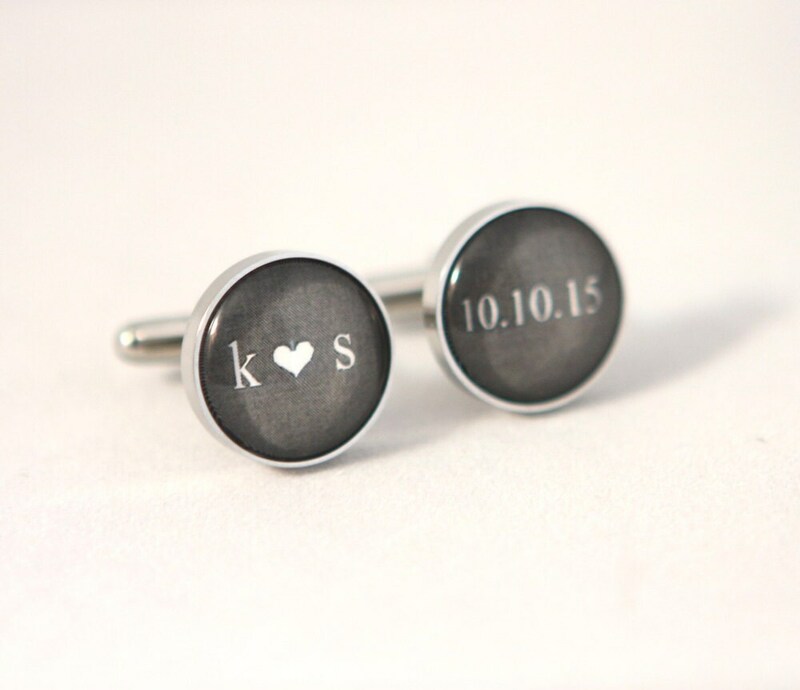 I ordered custom cuff links to give as a gift to my husband on our wedding day! They came out perfect and shipping was fast! Thank you! !